Hello, I'm Liz Johnson your local therapist for Bark Busters Home Dog Training Durham. 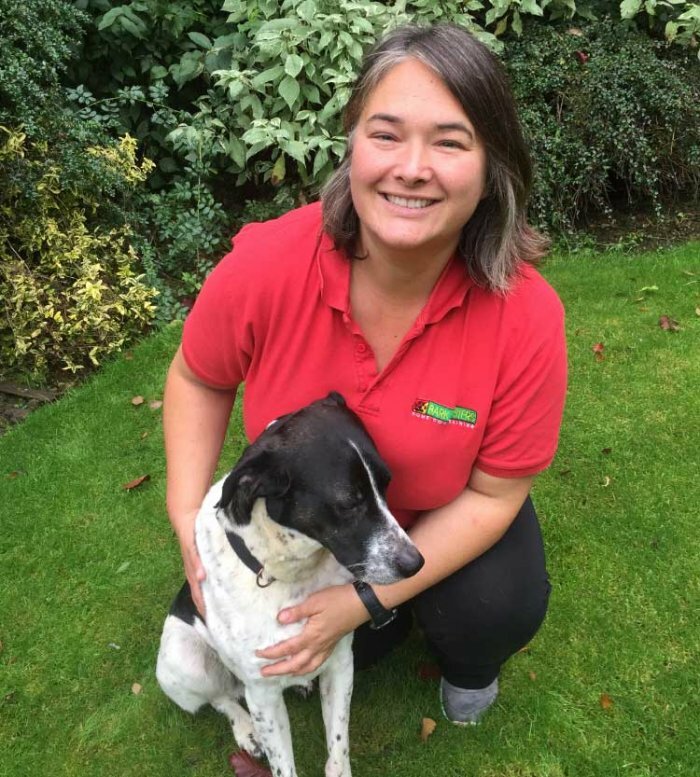 With more than 10 years of experience in dog behaviour therapy and puppy training, in this area, I am confident that I can help you to resolve the unwanted behaviours from your dog that are driving you mad! I came across Bark Busters when I was working as a freelance journalist in London. By following up on a heart-warming story, I discovered the Bark Busters system and the reasons why it is so successful, often succeeding where other systems fail. It wasn’t long before I took the decision to move back to the North East and became a Bark Busters therapist myself. But why does the Bark Busters approach succeed where others may have failed? 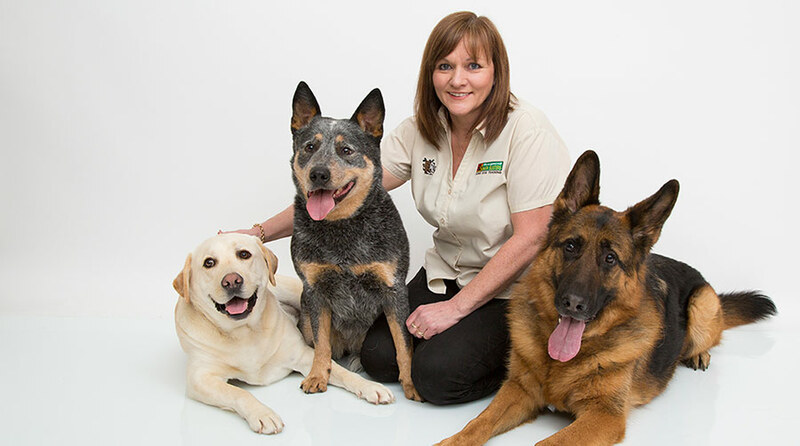 Our training is based on canine communication systems and uses voice tone and body language. The methods are kind and non-physical, and include lots of positive praise and encouragement. It also involves teaching owners how to demonstrate kind, confident leadership so that their dog trusts their owner's instruction and follow their lead. Whatever problems you are experiencing with your dog’s behaviour, from pulling on the lead, poor recall, aggression to dogs and/or people, sibling rivalry, nuisance barking, separation anxiety, and anything else, I can assure you that these problems are common, and are often resolved quite easily once we understand the reasons for the behaviour. I rarely find a dog who is deliberately naughty: usually there is a breakdown in communication, and a dog who doesn’t understand what is expected of him. This can be resolved using my easy-to-learn training system. Because the lessons take place in your home at a time that suits you, both you and your dog are more relaxed, less stressed and natural. This enables me to assess what is going on, and why the bad behaviour might be happening. You will have lots of time to tell me about the behaviour problems you are experiencing, and I will have the opportunity to observe some of these for myself. We will then start on the training programme that I will explain fully to you. It is a kind, simple and effective system that I will tailor to your specific needs. You will have lots of opportunity to practise whilst I am with you, and we will take the training at a pace that you and your dog can cope with. To help you along the way, I will leave you with lots of printed training aids and written notes specifically for you on how to continue with the training once I have left you. You can also relax in the knowledge that I will support you throughout the duration of your term you have purchased. As well as helping with behaviour problems, I can also help you with puppy training to get you off on the right track so that problems don’t develop later. My puppy training is gentle and kind, and all about learning through positive interaction and play. I want you to enjoy your life with your dog, and I want to see happy dogs. If you think I might be able to help you achieve that, I would love to meet you and your lovely dog very soon.